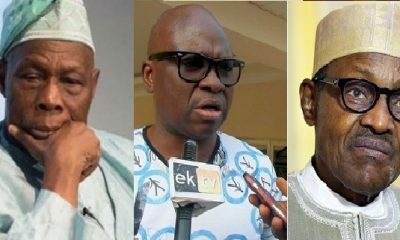 -Governor Fayose calls for collaborative efforts in tackling security challenges in the state. 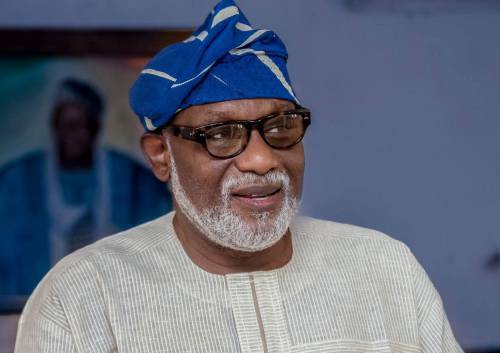 -The call follows the gruesome murder of two students of the state university by suspected cultists. 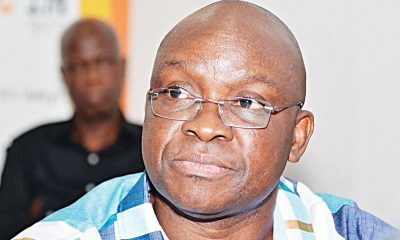 Ekiti state governor, Ayodele Fayose, vows to bring killers of two EKSU students to justice. 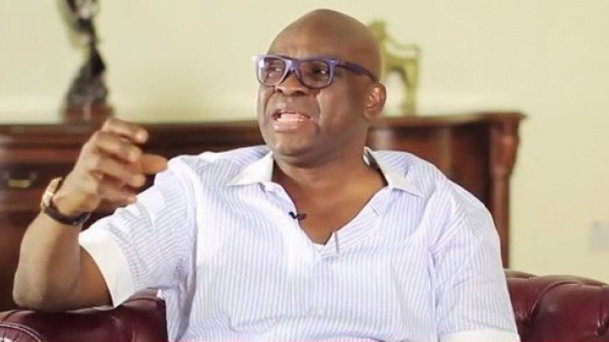 Governor Ayodele Fayose of Ekiti state, has offered the sum of one million naira to anyone that provides valuable information that can lead to the arrest of suspected cultists responsible for the murder of two students of the Ekiti State University (EKSU). 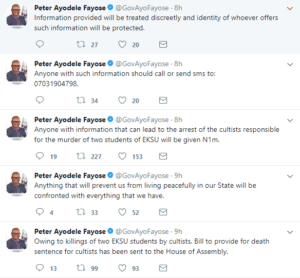 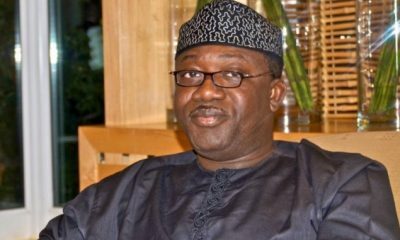 Owing to the killing, the governor has sent an executive bill to the Ekiti state house of assembly which recommends death sentence for arrested cult members. 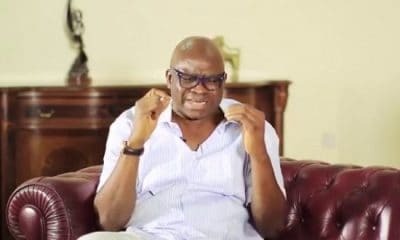 The headless body of an undergraduate of the Ekiti State University, identified as Ayodele Temilade, was Sunday night found at the university’s gate where it was allegedly dumped by cultists. 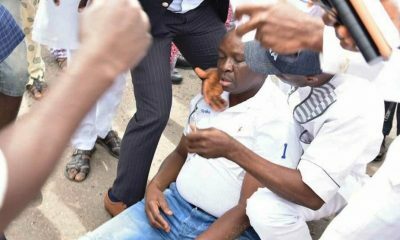 Information obtained by Naija News revealed that about five days earlier, Ojo Segun, a third year student of the same institution had been murdered in cold blood by suspected cultists which created panic within the university community. 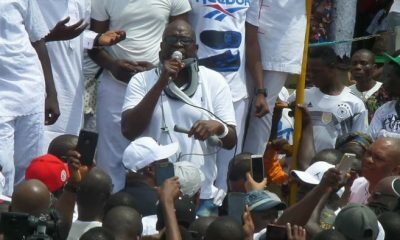 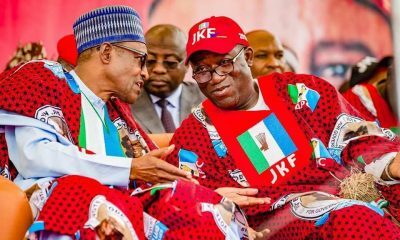 The governor promised to combat anything thing or individual that will disturb the peace in the state and called for the co-operation of the citizens in working together to protect lives and property in the state.